New release! 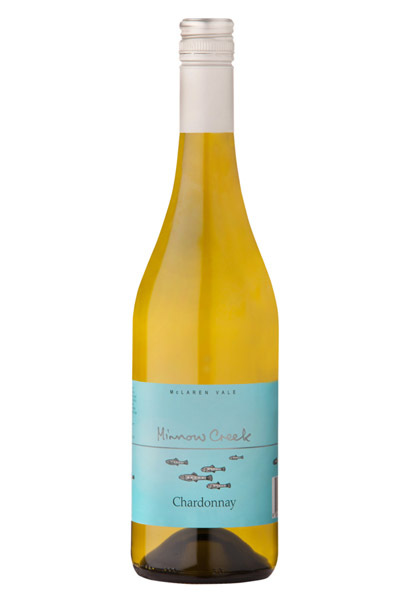 Our beautifully elegant Chardonnay is made entirely from stunning McLaren Vale fruit. Not content with usual production techniques, Tony ferments and matures 60% of the wine in French oak, creating an incredible lingering finish that’s as perfect for hot evenings with just-cooked seafood as it is with an autumn cheese platter. Try it with Blue Swimmer crab, grilled flathead, or a lemon zesty risotto. Colour Very bright with lively green tints. Nose Beautiful rich notes of white peach and nectarine, together with light toasty French oak and a delicate almond creaminess. Palate A delightful rich entry of complex rich stone fruits, leading to a mid palate of great depth, minerality and persistence, finishing with fine supporting acidity. Drinking very well on release, this wine with careful cellaring will reward with great complexity and be a drinking pleasure for at least 5 years. New release! 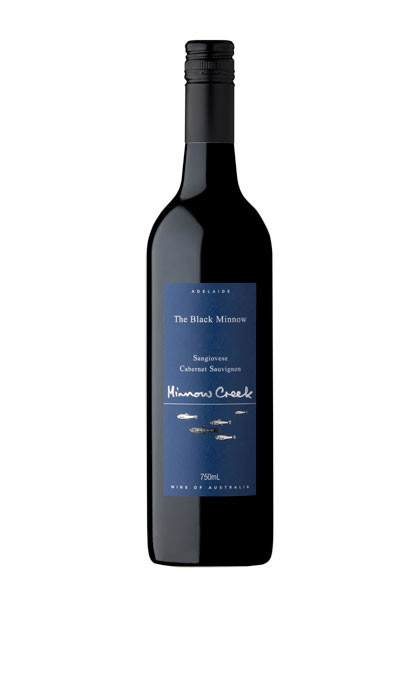 The Black Minnow is our medium bodied vibrant red blend, made from Sangiovese and Cabernet Sauvignon. Tony blended this wine in the vineyard on the spot, from a handful of grapes. They worked in the mouth, and they work in the bottle. When we first produced this wine, various wine critics were suspicious – a Sangiovese blend? In McLaren Vale? One sip, though, and they were converted. Our latest bottling is a racy, mid-bodied delight. With its stunning ruby-red colour, it looks as good in the glass as it tastes. Try it with the smokiness of a wood oven pizza, or a sizzling serve of veal scaloppine. Colour: Medium deep ruby red with a crimson rim. Nose: A complex array of lifted spicy dark cherry and herbal notes combined with darker fruits and savoury characters. Palate: Showing a generous entry of bright red fruits leading to an intense burst of deep vibrant dark cherry fruits with a touch of typical savouriness from the Sangiovese. 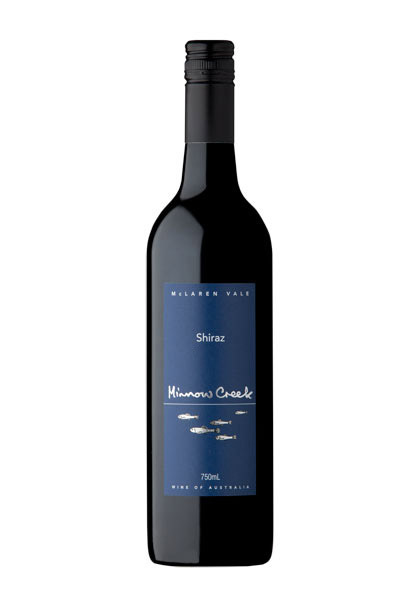 The mid palate shows a rich complexity of red and black fruits derived from the Cabernet component. The back palate combines an intense array of vibrant complex berry flavours and allspice finishing with a delightful fine tannin structure of great length. This wine was matured for twelve months in older French and American oak and will continue to drink well into 2023 and beyond. Our Shiraz has been produced since 2005 from the Lopresti family’s Nursery block, from grapes that were planted in 1994. Tony will happily rave about the canopy to fruit ratio and firm savoury tannins of these incredible grapes, and in the bottle, they produce a punchy, deep wine that is alarmingly easy to drink. You can drink it now or cellar it for fifteen years and up – it’ll get even better as the years go by. Bottled in December 2017. Released in February 2018. Try it with a big, flavourful chorizo and eggplant stew. Colour: Intense deep red with vivid purple rim. Nose: Concentrated blackberry and dark plum with an element of light charry oak. Palate: A full rich taste of intense spicy blackberry on entry leading on to a mid palate of complex dark plum and mocha. Excellent depth of black fruits with a long balanced finish supported by a fine tannin grip. Drinks well on release. Advisable to decant prior to serving to see this wine at its best. In 2013, we created The Reserve. This is a Cab Sav/Malbec blend, and it’s quite extraordinary. The Cab Sav also comes from our friends the Lopresti family, from their block known as the Green Shed. Despite demand, Tony refuses to make this blend unless the fruit quality is exceptional. James Halliday called it ‘a seriously good wine,’ and we agree – this is a wine to be shared over good news, great conversation and terrific company. 95 points, James Halliday, 2016. Try it with the best prime rib of Angus beef you can find. Colour: A delightful deep garnet with purple rim. Nose: The nose shows lifted blackcurrant, blueberry and touches of nutmeg and dark chocolate. Palate: A medium bodied generous entry flows onto a complex combination of brooding dark fruits and oak spice. The fruit intensity continues to grow into the back palate whilst being supported by firm balanced acidity and persistent tannins. At this stage of release this wine is recommended to be decanted prior to serving. Cellar up to 15 years in good conditions.